A criminal accusation can happen when you least expect it. If a situation arises where you find yourself in need of criminal defence, but are struggling to find options on how to manage your money matters, Sourena Sarbazevatan at Gambriani Law is here to offer relentless dedication and expertise with your case, and ensures that what’s in your wallet does not impede your possible path to justice. Gambriani Law take pride in speaking with our clients to better understand the hard time that they may be facing, the last thing Gambriani Law want is for your finances to be a worry at this time. Law firm deals with a broad range of criminal charges and has provided effective and affordable services to many people charged with criminal offences; some include impaired driving, domestic assault, and sexual assault. 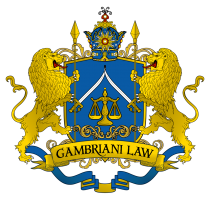 In short, Gambriani Law understand how much is at stake when a person is facing criminal charges, and here at Gambriani Law, Gambriani Law hope to ease the stress and bring forward favorable results for our clients as soon as possible. With that being said, we offer payment plans and installments to help you better finance your services in a way that best suits your needs. A criminal accusation can happen when you least expect it. If a situation arises where you find yourself in need of criminal defence, but are struggling to find options on how to manage your money matters, Sourena Sarbazevatan at Gambriani Law is here to offer relentless dedication and expertise with your case, and ensures that what’s in your wallet does not impede your possible path to justice. Sourena takes pride in speaking with his clients to better understand the hard time that they may be facing and does not want for your finances to be a worry at this time. Gambriani Law deals with a broad range of criminal charges and has provided effective and affordable services to many people charged with criminal offences; some include impaired driving, domestic assault, and sexual assault. In short, it is understood how much is at stake when a person is facing criminal charges, and here at Gambriani Law Sourena hopes to ease the stress and bring forward favourable results for his clients as soon as possible. It is understood that every case is different, with that being said, your matter will be given personalized attention and you will have the option to select payment plans and instalments that are offered to help you better finance your services in a way that best suits your needs. Gambriani Law wants to ensure that you can afford expert criminal defence with a piece of mind without breaking your budget and to protect your record, get you justice, and do it all affordably and with an understanding of your financial situation. Being faced with a criminal offence comes with what perhaps could be the most stressful time in a person’s life; therefore Gambriani Law wants to make things easier by offering a FREE initial in-person consultation to discuss your legal matter. During the consultation any questions you have to ask will be answered with expertise in a comfortable and non-rushed environment. At Gambriani Law, Sourena wants to provide a peace of mind to his clients. With years of experience as a trusted and knowledgeable advisor and consultant, his reputation speaks for itself, and it is just as important as yours. *Disclaimer: Consulting this website does not constitute legal advice and does not create a solicitor-client relationship. I consent to gambriani collecting my details through this form.